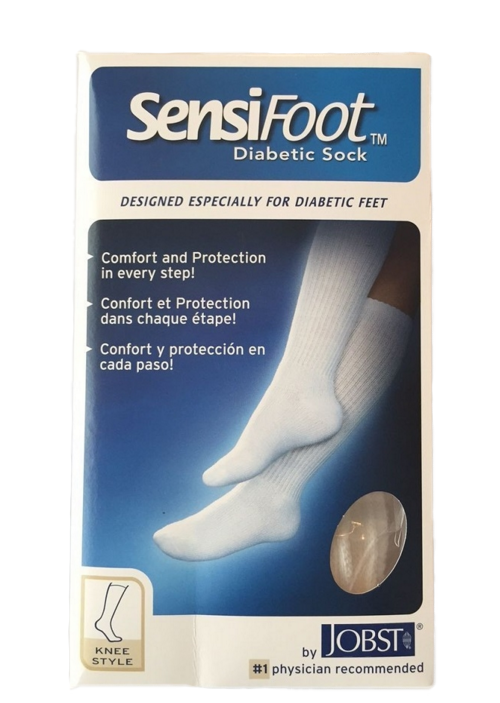 Jobst SensiFoot Unisex Knee High Diabetic Mild Compression Socks 8-15 mmHg are made specifically for those with diabetes and sensitive feet. 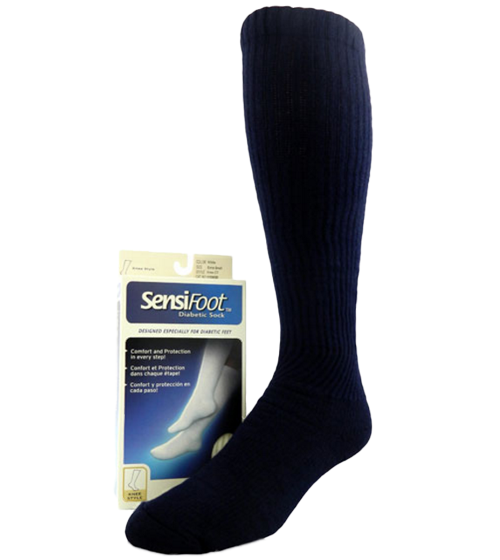 Sensifoot by Jobst are made to prevent further foot and leg ailments by providing mild compression with a non-irritating, flat toe seam. 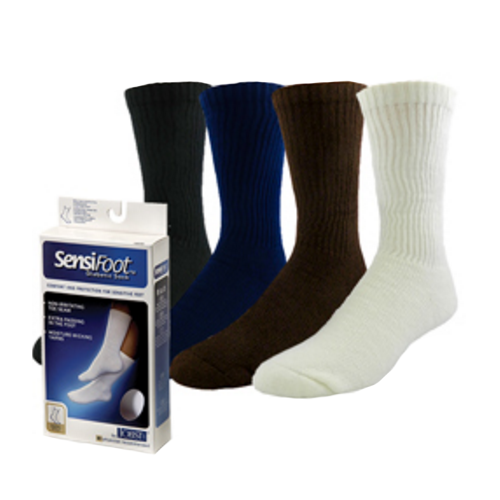 The extra fabric on the foot, heel, and toe on these Knee High Diabetic Compression Socks 8-15, available for men and women, gives the Sensifoot socks added durability. 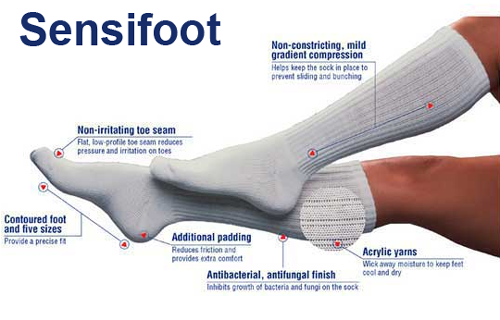 Jobst SensiFoot Diabetic Compression Socks are made of acrylic multi-fiber threads that help wick moisture from the body, and have anti-bacterial/fungal properties. Do these socks require size? Yes; a sizing chart is available in the "additional information" section of the page. I never had a bad one yet. These socks are all I wear and they still feel good. This was my first order from Vitality and I was thrilled at the ease of ordering, the quick delivery and the product. I needed a light support knee hi sock and I found the perfect one. 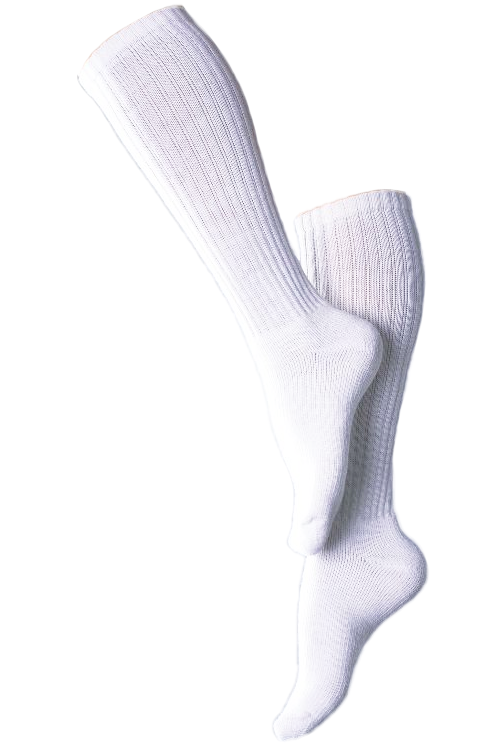 The socks are so very comfortable; they keep my feet warm in my cool office environment. The light compression keeps my legs from swelling and hurting. I have nerve damaged legs secondary to a spinal fracture.These socks extend above the AFO that I have in my shoes extending up my calf. The low pressure control is perfect for my needs. Stays up and does not slide down the legs. Wonderful fabric - great workmanship. Soft. great fabric and stays up and does not slide down the legs. Great support. Highly recommend these socks.